At Campus North at KIT a 110-m 2.5-GeV electron storage ring is located with a 53-MeV microtron and 500-MeV booster. The racetrack microtron accelerates the initially 90-keV electrons to relativistic kinetic energies of 53 MeV, which are then injected into a booster synchrotron. 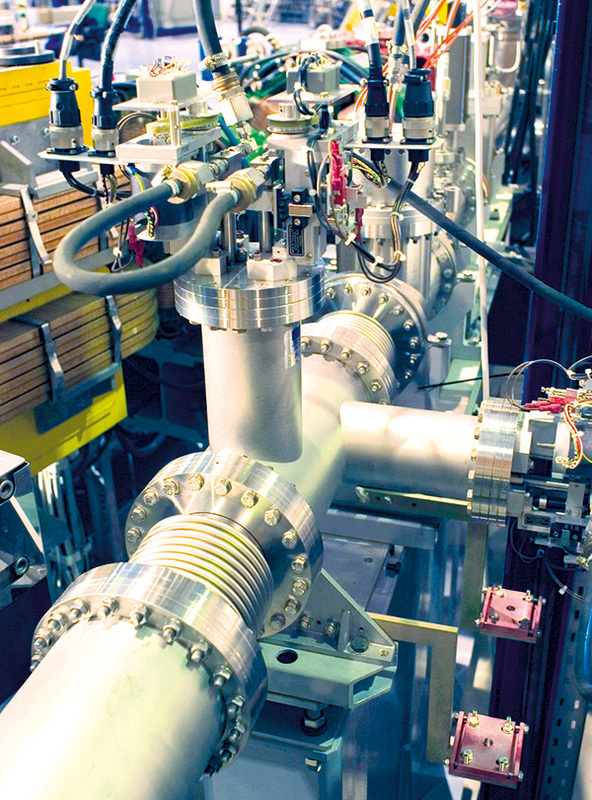 In the storage ring in the booster synchrotron, electrons are further accelerated to 500 MeV before final injection into the 110-m electron storage ring. Finally, the electron's kinetic energy is ramped from 0.5 GeV to a typical value of 2.5 GeV for the generation of mainly X-ray photons or various other energies are set during machine physics experiments. The latter include the study of novel operation modes like low-alpha operation. During low-alpha operation coherent synchrotron radiation (CSR) in the terahertz (THz) frequency range is investigated. The injector has a repetition rate of 1 Hz. Typically injection into the storage ring takes place once or twice on a work day. The 110-m electron storage ring is named Karlsruhe Research Accelerator (KARA). For details on energy, injection, lifetime, and beam current of the electron storage ring see current and past Electron Beam Status.